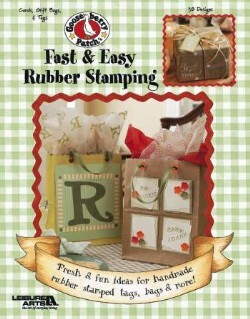 Grab your favorite rubber stamps and have fun making the prettiest cards, the most clever gift bags, the sweetest tags and more! 38 designs include birthday cards and invitations with flowers eyelets and metal oval frames, vellum flower tags. Leaflet - 32 pages by Leisure Arts.